If you’re considering becoming an early Mars colonist, the National Geographic Channel’s new TV series MARS is a must to watch. That’s partly because it shows you that settlers will not inhabit lavish domes on the planetary surface revealing sunlit Martian landscapes. Rather, they’ll be in underground bunkers. Initially, conditions will be Spartan, but if the colony does well they could expand further underground. Colonists could make that as pretty as they could afford, but other than having gravity pull at just 38 percent compared with Earth, the day-to-day experience would not be different from living in an underground city on Earth. The series also does a fantastic job showing the dangers inherent in human expeditions into virgin territory. No Klingons or Romulans are needed to instill fear, nor even pathogenic microbes native to the planet where humans are landing. The latter is actually not very likely, even if Mars has microbial life, but it would make for an entertaining feature film; plus real-life human exploration must take precautions against pathogens because the consequences would be disastrous. The possibility of near-catastrophic equipment failure (as occurred on the infamous Apollo 13 mission to the Moon) is a more likely danger. So is the potential for big medical emergencies. Thus far, space exploration has seen small medical emergencies, but not big ones. However, it is likely that there will be life-threatening situations requiring rapid medical and surgical intervention if humans do set down on the Red Planet. National Geographic Channel’s new miniseries MARS. At the end of MARS episode 1 and culminating in episode 2, a medical emergency scared me and should scare you too, which was the entire point. The message was that Mars explorers could get injured badly, beyond the capability of expedition medical people and equipment to save them. That said, however, the portrayal of how the situation was managed was somewhat unrealistic. Before delving into why, here’s more information on the series. 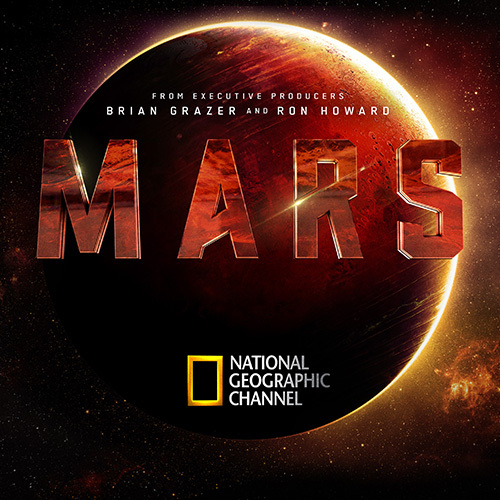 MARS is unique in that it’s a blend of science documentary and fictional live action drama. The story moves back and forth between the narration of space activities in the current time and the experiences of imaginary Mars explorers and early settlers roughly two decades into the future. Interviews set in the current time feature space superstars like astrophysicist Neil deGrasse Tyson, astronaut Scott Kelly, Cosmos producer Ann Druyan, and many more. In the documentary phases, there are excellent, clear explanations of the physiological and medical issues of flights to Mars and human activity at the surface. But the dramatization does get some of the medicine wrong, especially in a sequence beginning when the first piloted spaceship, Daedalus, arrives at Mars after several months journey from Earth. On the way into the Martian atmosphere, the mission commander is slammed really hard into a bulkhead, because he’s out of his seat doing a last minute repair on a malfunctioned system that’s critical for landing. After landing, the rest of the crew finds him unconscious and so obviously not in any condition to walk after he wakes up. The physician checks his neck and it seems okay, but the commander is coughing up blood and not telling anyone. The implication is that he has what’s called a hemothorax, blood in the space between the lungs and the inner wall of the chest. 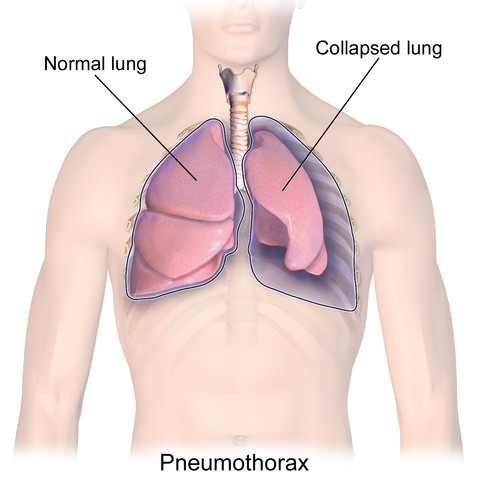 He may also have a pneumothorax, higher-than-normal air pressure in that same space, which can cause the lung to collapse. The physician doesn’t know about the blood yet, because the commander is hiding it, due to the need to get everyone to base camp. This sounds heroic, but it is actually not something that a trained Mars explorer would do, since it actually places the entire team at risk. Going from the high-pressure environment of the ship to a lower pressure environment of a space suit would probably kill him right there. Otherwise, his condition could worsen during the trip to base camp, thereby burdening the rest of the team, putting everybody’s survival at risk. Given the commander’s rapid pulse, the physician should know that the injured commander has low blood pressure and needs an intravenous (IV) line inserted into him. Equipment for starting an IV is found in a standard emergency medical kit on any passenger airliner, in case someone needs fluids during a flight. That could be due to something really simple; a passenger gets severely dehydrated, for instance. In fact, such basic monitoring is standard in many wilderness settings, for instance in mountain climbing. There’s a similarity between mountain climbing and space exploration, and other activities like underwater exploration and missions to Antarctica and Greenland. In such wilderness scenarios, medical care is inferior to what you find at a high-tech medical center because you can’t carry heavy equipment like an MRI scanner. But you do bring the latest medical gadgets that are transportable. Today, for instance, you can purchase a portable hyperbaric chamber. It’s the size of a small suitcase, but it inflates to fit a patient who needs to be pressurized, for instance in a mountain expedition. 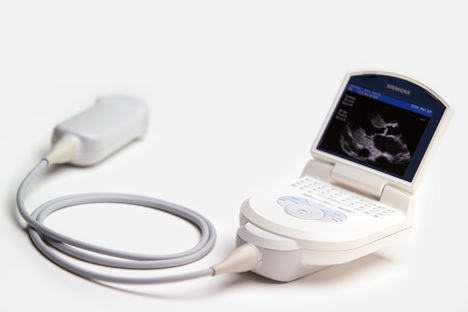 It’s not standard yet, but also coming available are devices for doing what’s called Focused Assessment with Sonography for Trauma (FAST) in remote settings, including rural communities and the International Space Station (ISS). Doing a FAST exam, physicians in wilderness settings in the near future will be able to know things like the severity of internal bleeding and other factors that determine whether a victim of blunt trauma must be picked up by helicopter for emergency surgery, and certainly whether it is safer for such a victim to walk. But in the MARS dramatization, there is no kind of FAST equipment or anything analogous. Apparently, no IV equipment either. Instead, everyone dons their space suits. As noted earlier, this is something that entails a pressure change. The air pressure in the suit is lower than the pressure inside the spacecraft, and in the rover that the explorers board to drive to the base camp. Normally, changing pressures requires various procedures to keep astronauts safe, but these Mars explorers seem to go from high to low pressures instantaneously. No spoilers if you haven’t seen the episode, but there are a lot of medical inconsistencies based on what explorers do today and would likely do in the future. Future explorers will have to be prepared with the best portable medical equipment of the era. That still may not be enough and one thing is clear both in reality and in National Geographic’s fictional scenario: settling Mars is going to be dangerous, possibly on the same level as early settlement of the Americas 500 years ago. And at least the settlers in America did not have to live underground.